Metro Presents: The Magic of Smoke and Mirrors at historic Union Station on Wednesday, October 30. The theatrical magic show will take place inside the former Fred Harvey Restaurant, a dramatic space that is usually closed to the public. The performance presents highlights from Smoke and Mirrors, the critically acclaimed show extended due to popular demand at the Road Theatre in North Hollywood. ‘What are you afraid of,’ is the question posed by the production, all in the spirit of Halloween. Pre-show at 7:30 p.m., Show begins at 8 p.m.
Show your valid Metro TAP card at check-in for access to preferential seating. Feel like dinner and a show? Show your valid Metro TAP card at Traxx Restaurant at Union Station and receive a 10 percent discount on your dinner bill. Guests are encouraged to make reservations at 213.625.1999 or www.urbanspoon.com. For more Destination Discounts click here. The performance continues Metro Presents, Metro’s newly launched program of arts and cultural programs at Union Station. All events are free and open to the public. 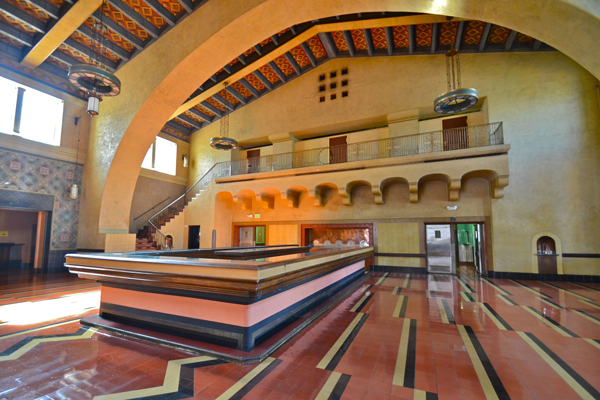 For more information on upcoming Metro Presents events, check Union Station’s events page.